Atletico Madrid have not conceded a single goal at home for 11 consecutive matches. I think it's near impossible. Wa bro xv long time didn't see u here. think not many like Real Madrid. 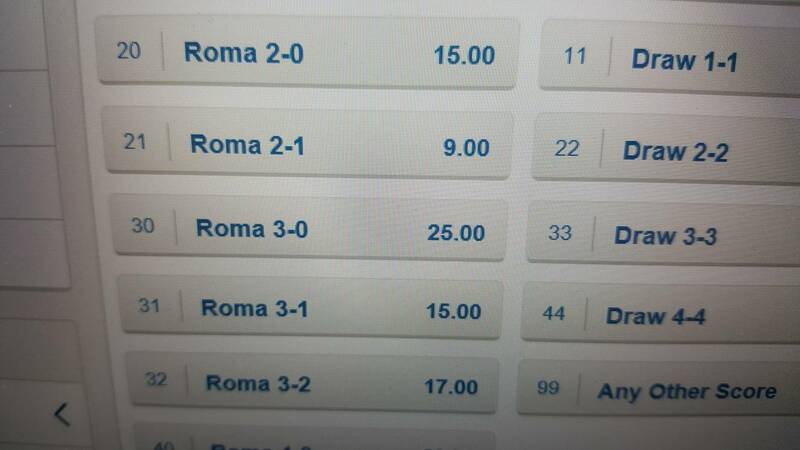 Roma odds have risen to $25 after losing 1st league 5-2 for championship winner.